Sophia Bekele the DCA Executive Director was invited to give a Key Note speech at the annual Girl’s ICT day on 24th April 2014 in Addis Ababa Ethiopia organized by International Telecommunication Union (ITU). PRLog – April 24, 2014 – UPPER HILL, Kenya — Despite, she was not able to attend the African Union premises where the ITU event was hosted, she has sent the below message to the young girls and women of the audience. Other invited guests who will speak at the event include the AUC Commissioner for Infrastructure and Energy, Minister of ICT in Ethiopia, Minister of Women’s Children and Youth Affairs Minister of ICT in Ethiopia,Dr.Eleni Gabre-Madhin of Ethiopian Commodities Exchange, Mrs.Bethelhem Tilahun, Managing Director of SoleRebels and Mrs.BruktawitTigabu, Director of Whiz Kids Workshop. 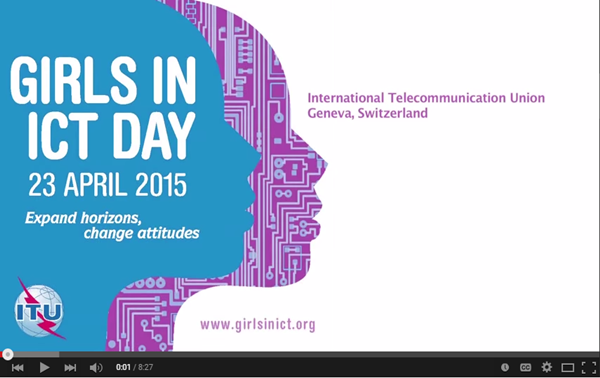 The Girls in ICT initiative is an ITU global effort to raise awareness on empowering and encouraging girls and young women to consider studies and careers in ICTs. The initiative is committed to celebrate and commemorate the International Girls in ICT Day on the fourth Thursday of every April as established by the ITU membership. commentator to your global programs pertaining to ICT and Internet issues, and here we are, also to show support for your program, women in ICT. Such enlightened and strong policy leadership is important at a time when the global economy desperately needs better steering on gender balance. Now, young women in this room, you can see ladies like us have paved the way for you. Today, it is much easier than yesterday to get involved, you just take the mantel and run with it, and add to more of the statistics. There is vast opportunity out there and waiting for your involvement. From securing employment to being a pioneer in the next new thing, like our ladyEthiopian Champions here Bethelhem Tilahun of SoleRebels in e-commerce or Dr. Eleni in an extraordinary work using automation to create the first commodities exchange in Ethiopia.